Aftab Ahmad Blog Himalayan Earthquake - Waiting for Doom! Himalayan Earthquake - Waiting for Doom! 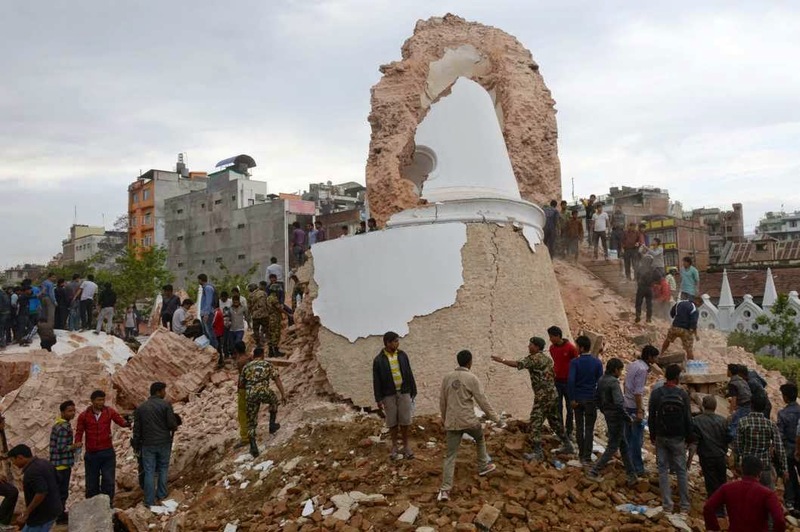 The quake, which reduced large parts of Kathmandu to rubble, is not the 'great Himalayan quake' that the region has been bracing for, experts say the worst is yet to come. 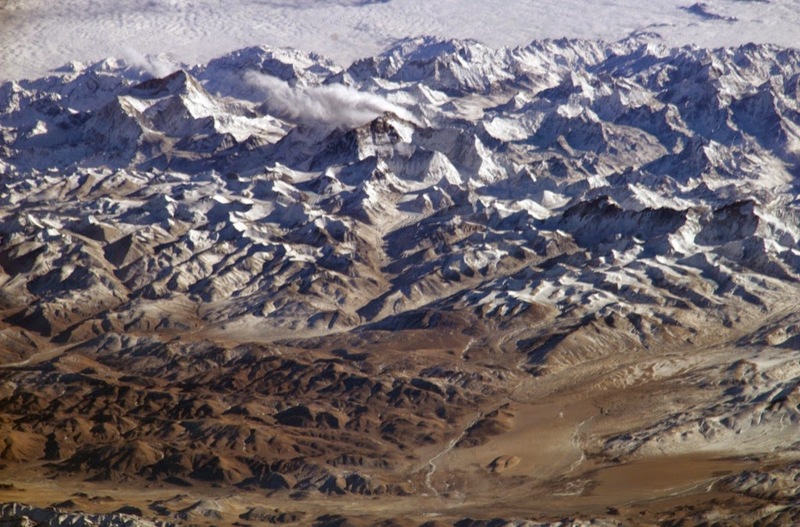 Down To Earth magazine quoted Roger Bilham, geologist with the University of Colorado Boulder who studies the seismicity of the Himalayan area as saying, "At a magnitude of 7.9 on the Richter scale, the April 25 earthquake has caused devastation but it is not the anticipated “great Himalayan earthquake”. This does not qualify as a great earthquake which needs to be of magnitude 8". Prof Sankar Kumar Nath of IIT Kharagpur, who has studied seismic activity in the Himalayan region, had an even gloomier outlook. “This earthquake would only be classified as medium in terms of energy released. That area, the 2500-km stretch from the Hindukush region to the end of Arunachal Pradesh, is capable of generating much bigger earthquakes, even nine on Richter scale,” he said. “If you look at it differently, we are actually lucky that only a 7.9-magnitude earthquake has come. I would be very happy to have a few 7.9-magnitude earthquakes than a 9-magnitude earthquake which would be absolute disaster. The trouble is that in terms of energy release, which is what causes the damage, it would take 40 to 50 earthquakes of magnitude 7.9 to avoid an earthquake of magnitude 9”. The last major earthquake (magnitude 8.4) occurred in 1934, killed an estimated 17,000 across both Nepal and India. Since then, researchers have been tirelessly studying the 'fault' lines of the last earthquake to predict the next one, but failed to do so. Seismologist James Jackson, head of the earth sciences department at the University of Cambridge in England, was in Kathmandu just a week ago. Following the 7.9-magnitude earthquake, he told Associated Press that scientists knew "they were racing against the clock,". Jackson, who was part of a 50-strong scientists and researchers team from across the world, said that the devastation would be huge not because of the size of the seismic activity, but because of population pressure and degradation of the environment. And this has been one of the biggest issues in the region. "The population of India has doubled since the last great Himalayan earthquake in 1950 (in Assam). The urban population in the Ganges plain has increased by a factor of 10 since the 1905 earthquake, when collapsing buildings killed 19,500 people. Today, about 50 million people are at risk from great Himalayan earthquakes, many of them in towns and villages in the Ganges plain. 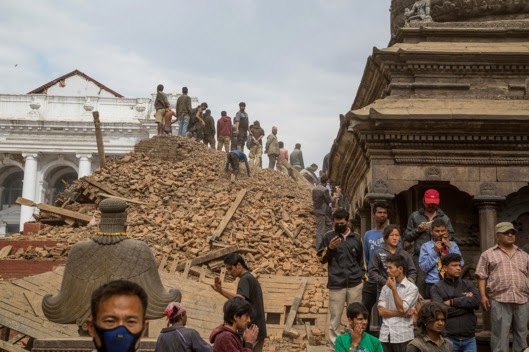 The capital cities of Bangladesh, Bhutan, India, Nepal, and Pakistan and several other cities with more than a million inhabitants are vulnerable to damage from some of these future earthquakes". Durbar Square, Kathmandu, Nepal after the earthquake of 25th April 2015. The devastating impact to life and property caused by natural disasters in the Himalayan region was painfully evident during the devastating cloud burst in Uttarakhand which also claimed over a thousand lives. As pointed out by Jay Mazoomdar in an article: "way too many properties and lives came in the way of the Mandakini and Alakananda on 16 and 17 June because we placed ourselves where we were never supposed to. That part, the part that made a natural calamity an enormous human tragedy, is entirely and unquestionably manmade." He added that the arguments of development hardly came into play, given the ecologically sensitive nature of the region. Following the Uttarakhand tragedy, many promises were made to review development work and work towards creating an ecologically viable model that would no longer endanger the area. However, the Congress government in the state has since abandoned work on the much-delayed zonal master plan for the Bhagirathi Eco Sensitive Zone -- which was to be created by a 2012 notification that declared 4179.59 sq km in the watershed of the Bhagirathi river between Gomukh and Uttarkashi as a green zone to safeguard it from unplanned growth.. The Indian Express notes that "days after Environment Minister Prakash Javadekar refused to modify the ESZ notification, the ministry reversed its stand on January 13 at a PMO meeting chaired by Nripendra Misra". Given the magnitude of the Uttarkashi disaster, it is not difficult to imagine how much more destructive an earthquake in the same area would be. Given the government's cavalier attitude toward earthquake safety and development in the Himalayas, we may be facing our very own humanitarian disaster -- and it won't even have to be the 'big one' for it to really hurt.